Sir Winston Churchill. Churchill, Winston, photograph. Winston Churchill is best remembered as Britain’s prime minister during World War II. He was also one of the century’s outstanding historians, and received the Nobel Prize for Literature. In several multivolume works, including monumental histories of the two world wars, he revealed his vast knowledge of British history and intimate understanding of European political and military affairs. Born into Privilege. Winston Leonard Spencer Churchill was born at Blenheim Palace in Oxfordshire—the home of his ancestor, the Duke of Marlborough—on November 30, 1874. His father, Lord Randolph Churchill, was a prominent parliamentarian, while his mother, born Jennie Jerome, was the daughter of an American millionaire. Soldier and War Correspondent. As a boy, Churchill was an undistinguished student with a speech impediment. Lord Randolph decided his son was destined for a military career. On his third attempt, Churchill passed the admission exam and entered the Royal Military Academy at Sandhurst, where he graduated with honors in 1894. He was then appointed to the Fourth (Queen’s Own) Hussars as a sub-lieutenant. Assigned to observe Spanish forces trying to contain a revolt in Cuba in 1895, he supplemented his military income by writing dispatches from the battle. Cuba was then a Spanish territory but had been fighting for independence for several decades. Cubans also resented the harsh policies Spain had put in place. The ongoing hostilities eventually resulted in the Spanish-American War of 1898, which won Cuba its freedom from Spain. Churchill then participated in, and reported on, military campaigns in India and the Sudan. In India, then still a colony of Great Britain, Churchill was part of Sir Bindon Blood’s punitive expedition to deal with the siege of a British garrison in the Malakand region by the local Pashtun tribal army. The Pashtun were upset by the division of their lands. In the Sudan, Churchill took part in the Sudan campaign of 1898, which saw numerous British, Egyptian, and Sudanese forces march together into the Sudan to again occupy and control the country for strategic purposes. His first two books—The Story of the Malakand Field Force (1898) and The River War (1899)—consist of revised reports from these expeditions. Captivity Results in Popular Book and Political Career. In a similar capacity, Churchill went to South Africa after the outbreak of the Boer War. The war was a conflict between the British Empire and the independent Boer countries of the Orange Free State and the South Africa Republic in which the British won control of the Boer territories. He was captured during the conflict in November 1899. His dramatic escape from a Pretoria prison gained him a great deal of attention in England, as did his account of the event in his book London to Ladysmith via Pretoria (1900). His fame helped him secure election to Parliament in 1900, as a member of the Conservative Party. Since members of Parliament were not paid, Churchill’s writing income facilitated his entrance into politics, beginning a career in public service that would last more than six decades. His first major literary undertaking began in 1902, when the family trustees gave him his father’s papers. The result was a two-volume biography, Lord Randolph Churchill (1906). An act of homage to a somewhat estranged parent, the biography is also a penetrating political study. Lord Randolph had tried, and failed, to move the Tories (Conservatives) toward social reform. Churchill decided to adopt his father’s principles and in 1904 defected to the Liberal Party. Successful Politician to Failed Military Leader. From 1905 to 1915, Churchill held government positions, rising from undersecretary for the colonies to president of the board of trade, a cabinet office, then to home secretary. In the reform government of Lord Asquith between 1908 and 1912, Churchill sponsored progressive legislation such as old-age pensions, unemployment insurance, and national health insurance. His book Liberalism and the Social Problem (1909) provides the intellectual foundation for these domestic policies. Churchill became First Lord of the Admiralty in 1911, and brilliantly retooled the British armed forces for the looming war. However, his career suffered a blow once World War I broke out after the assassination of the heir to the Austro-Hungarian throne, Archduke Franz Ferdinand, in 1914. Because of entangling alliances, nearly the whole of Europe became involved in the conflict, which saw massive devastation and heavy causalities where the war was fought. During the war, Churchill advocated for Britain and its allies to attack Turkey through the Dardanelles strait in an attempt to gain control of the strait and western Turkey. This strategy failed and produced many casualties in the battle, which took place at Gallipoli. As a result, Churchill was demoted and lost favor with his party. Resigning from the government in 1916, he spent several months commanding troops in the trenches of the Western Front in France. The prime minister, David Lloyd George, soon recalled him to become minister of munitions. Churchill in The World Crisis. After the war, Churchill returned to high office as secretary of state for war and secretary of state for air. He lost his seat in the House of Commons in 1922, but in 1924, he rejoined the Conservatives and was immediately named chancellor of the exchequer. Meanwhile, he had begun work on his first large-scale historical study, The World Crisis: 1911-1918, which examined World War I in six volumes (19231931). In the books, Churchill analyzes bloody battles in the military sphere and tense struggles in the political, writing in the vivid, if somewhat overblown, style of a master storyteller. As in his subsequent works, he is an active participant in the events he records, lending an element of personal narrative to his sweeping world history. Through his writing, he attempted to vindicate himself for his disgrace over the Dardanelles campaign. From the Wilderness to the Summit. The Conservative government went down to defeat in 1929. Churchill again became estranged from his party, and in the 1930s his political career reached a low point that he later called his “wilderness years.’’ Out of office, he concentrated on writing, devoting five years of study to Marlborough (1933-1938), a four-volume biography of his distinguished forebear, an eighteenth-century military commander. He also drafted A History of the English Speaking Peoples (1956-1958), for which he had received a large advance but which would not see publication until years later. Its four volumes chronicle the rise of the British Empire and the English-speaking world from the time of Julius Caesar to the First World War. In The Gathering Storm, the first of his six volumes on the Second World War, Churchill describes himself as something of a lone voice calling for Britain to counter the growing threat of Nazi Germany. (After World War I, Germany had suffered an economic and identity crisis caused in part by the harsh terms of the Treaty of Versailles. In the early 1930s, Adolf Hitler gained power in part because he promoted the idea of a new, stronger Germany that sought to control much of Europe.) The truth is more ambiguous—Churchill praised some of Nazi leader Hitler’s qualities in print and in the House of Commons—but then his predictions were vindicated. When war broke out in September 1939 after Germany invaded Poland and Great Britain and other countries declared war on Germany, Churchill returned to the war cabinet as First Lord of the Admiralty. The following May, Neville Chamberlain resigned as prime minister, and King George VI asked Churchill to lead a new administration. In the early 1940s, it became clear that Churchill was the right leader for this dark moment in his nation’s history as Nazi Germany gained control over more of Europe and began pounding Great Britain with bombs by air with the intent of taking it over as well. With steely resolve, while the nation was under attack, he declared that Britain’s only objective was complete victory. His speeches in Parliament and on the radio offered the inspiration the country needed in the anxious months of the Blitz. He secured the aid—first economic, then military—of the United States and embraced the Soviet Union as a powerful European ally. Later Career. To end World War II in Europe, Churchill, U.S. President Franklin D. Roosevelt, and Soviet leader Joseph Stalin orchestrated the Allied victory in Europe over Germany and Italy, which came in 1945. When the Russians marched into Berlin ahead of the Americans and British, Churchill had to face the reality of a great Communist power controlling part of Europe. He proposed to divide the continent into spheres of influence: Eastern Europe to the Soviets, Western Europe to Great Britain and America. The ‘‘Iron Curtain,’’ as Churchill dubbed it, had fallen, and his decisions were largely responsible for the Cold War that followed. While Churchill himself was extremely popular, the British public had not forgiven his party for supporting a policy of appeasement with Hitler. After a landslide victory for the Labour Party, Clement Attlee replaced Churchill as prime minister in July 1945, days before the atomic bombs fell on Hiroshima and Nagasaki to end the war in the Pacific. For the next six years, reduced to the minor roles of opposition leader and elder statesman, Churchill returned to the other part of his life’s work. He wrote his six-volume history, The Second World War, which became a best seller on both sides of the Atlantic. The series interweaves a general history of the war with Churchill’s recollections and analysis of military and diplomatic events he personally witnessed and directly influenced. In 1951, Churchill returned to the prime minister’s seat and served a relatively uneventful four-year term. In June 1953, he suffered a severe stroke, news of which was kept from the public. Later in 1953, he was awarded the Nobel Prize for Literature. Essentially retired from the mid-1950s on, he only gave up his parliamentary seat in 1964. He died the following year at his home in London days after suffering another severe stroke. Adolf Hitler (1889-1945): Austrian-born dictator of Nazi Germany, 1933-1945. Franklin D. Roosevelt (1882-1945): American president elected four times and serving from 1933 to 1945. Bertrand Russell (1872-1970): British historian, philosopher, Nobel Prize-winning author, and political activist whose books include Principles of Mathematics (1903). Charles A. Beard (1874-1948): American historian, known for his progressive interpretation of U.S. history in books such as The Rise of American Civilization (1927). Albert Einstein (1879-1955): German-born physicist known for his theory of relativity, but who also wrote on humanitarian and political issues. George Orwell (1903-1950): British novelist and essayist; author of the influential novel 1984. Winston Churchill's histories of the First and Second World Wars are universally regarded as classic works of literature. Here are some other important historical accounts of the two world conflicts. The Struggle for Europe (1952), by Chester Wilmot. An important military history of the Second World War in Europe, it was written by one of the principal reporters present at the D-Day landing. The Rise and Fall of the Third Reich (1960), by William Shirer. The first major history of Nazi Germany written in English, it is based largely on documents captured from German archives at the end of the war. The Guns of August (1962), by Barbara Tuchman. An enormously influential and popular account of the origins and fateful first days of World War I by a popular American historian. The Great War and Modern Memory (1975), by Paul Fussell. This brilliant work of intellectual history probes the ways that writers and artists responded to the First World War and thus shaped the modern understanding of that earth-shattering event. A World at Arms: A Global History of World War II (1994), by Gerhard L Weinberg. A comprehensive history of the Second World War in a single volume, it illuminates the connections between far-flung events in the war's many theaters. Winston Churchill’s career as a historian coincided with his military and political roles. While his military education was formal, his historical training was self-acquired. He immersed himself in historical study while in India, reading steadily through the books his mother sent him. First came the volumes of Edward Gibbon and Thomas Babington Macaulay, which had an impact on his speeches and writing, followed by Adam Smith’s Wealth of Nations, Plato’s Republic, and Charles Darwin’s Origin of Species. The influence of Darwin can be seen in Churchill’s belief that life is a struggle in which the fit and courageous are most likely to survive. The Personal Element. A great deal of what Churchill wrote contains his personal views and interests. This includes not only his histories of the two world wars but also the biographies of his father and the Duke of Marlborough as well as his autobiographical writings, such as My African Journey (1908) and My Early Life (1930). His books of essays, Thoughts and Adventures (1942) and Great Contemporaries (1937), concern his adventures and the men he had known who made an impact upon him. Even A History of the English-Speaking Peoples serves as a vehicle for Churchill’s ideas about politics, history, and tradition. His type of history is based on the personal element of his life. Storytelling. Churchill was mainly a storyteller. In his military histories, he uses short, breathless sentences to suggest the feeling of combat. His histories emphasize politics and wars because these were the subjects that interested him most and were most conducive to his penchant for lively narrative. He wrote in a conversational manner, creating the impression that he was talking to the reader—often because that was actually what he was doing, since he tended to dictate his work to others rather than write or type it himself. Orality and Morality. While Churchill’s historical tomes are of lasting value, his achievements in political oratory have been still more influential. Many of his most memorable phrases—‘‘I have nothing to offer but blood, toil, tears, and sweat’’; ‘‘Never.. .was so much owed by so many to so few’’; ‘‘the iron curtain’’—have assumed a permanent place in our language and culture. Another major legacy of Churchillian rhetoric is his vision of politics as a matter of morality, a struggle between right and wrong, between freedom and tyranny. He insisted that Hitler had to be confronted, not appeased; political leaders have been citing this lesson ever since as a justification for aggressive foreign policies. Churchill’s early books, based on his war dispatches, brought him critical and financial success in England. The vigorous and colorful descriptions of military actions and the emphasis on the courage of British troops became the hallmarks of his military books. Once he had established himself as a statesman, the success of his literary endeavors was assured. His six-volume Second World War sold in numbers unprecedented for a nonfiction work. Critics, however, have had a more mixed reaction to his work. Critics attribute some of the success of his writing to his habit of dictating his work. Many argue this helped to infuse his writing with the spirit of ‘‘fireside chats,’’ thereby easily garnering public interest and sympathy. Weaknesses as a Historian. Churchill’s histories have not been without their critics, both immediately after they were published and up to the present. He was an amateur historian, not academically trained. He tended to overdramatize events, and his works contained factual errors and questionable interpretations. His works were chockablock with primary documents, which made them longer than many felt was justified. Perhaps the most damning criticism made of his historical works is that they were self-serving—intended to justify his policy failures, such as the Dardanelles attack, or in the case of his biographies, to whitewash the reputations ofhis father and the Duke of Marlborough. It is unlikely that many of Churchill’s readers have been or are bothered by the shortcomings perceived by his critics. Many readers appreciate his remarkable ability to amass and organize huge quantities of information and to communicate it with eloquence and excitement. His writings remain highly popular, and their critical prestige has only grown with time. The Second World War has appeared on numerous lists of the greatest nonfiction works of the twentieth century. Even Churchill’s detractors concede the immense historical value of this series, because of its author’s proximity to the momentous events described. 1. How does Winston Churchill’s biography of his father, Lord Randolph Churchill, prefigure his own political career? 2. 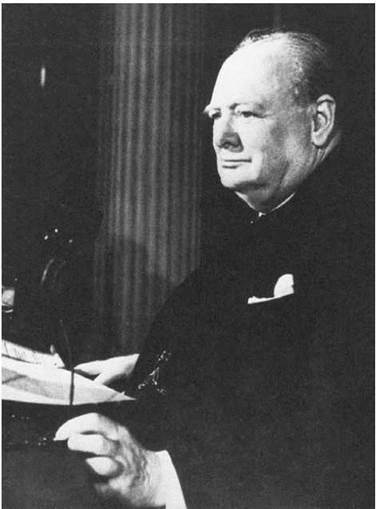 Write about the storytelling aspect of Churchill’s prose, citing several examples. 3. In what ways do Churchill’s political speeches and his historical narratives serve similar purposes? Write a paper in which you explain your views. 4. Churchill’s history of the Second World War is both a memoir and a comprehensive narrative of a major world event. Evaluate how Churchill handles these dual purposes and how the author’s personal voice affects the overall success of the work. 5. Write about literary and persuasive elements in one or two of Winston Churchill’s classic speeches. Ashley, Maurice. Churchill as Historian. London: Secker & Warburg, 1968. Churchill, Randolph S., and Martin Gilbert. Winston S. Churchill. 24 vols. London: Heinemann, 1966-2000. Gilbert, Martin. Churchill: A Life. New York: Holt, 1991. Langworth, Richard M. A Connoisseur’s Guide to the Books of Sir Winston Churchill. London: Brassey’s, 1998. Lukacs, John. Churchill: Visionary, Statesman, Historian. New Haven, Conn.: Yale University Press, 2002. Manchester, William. The Last Lion: Winston Spencer Churchill; Visions of Glory, 1874-1932. Boston: Little, Brown, 1983. Prior, Robin. Churchill’s ‘‘World Crisis’’ as History. London: Croom Helm, 1983. Taylor, A. J. P. et al. Churchill Revised: A Critical Assessment. New York: Dial, 1969. Weidhorn, Manfred. A Harmony of Interests: Explorations in the Mind of Sir Winston Churchill. Rutherford, N.J: Fairleigh Dickinson University Press, 1992. Woods, Frederick. Artillery of Words: The Writings of Sir Winston Churchill. London: L. Cooper, 1992. Freeman, John. ‘‘Mr. Winston Churchill as a Prose-Writer.’’ London Mercury 15, no. 90: 626-34.